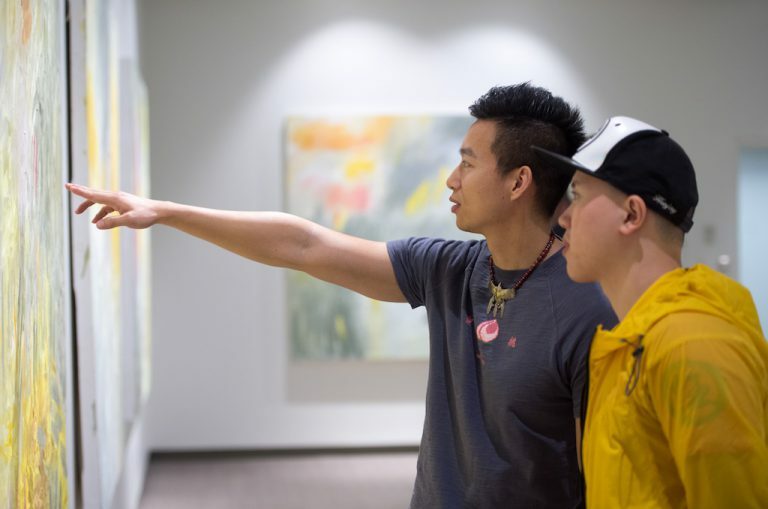 On April 11, Valencia College’s annual juried art exhibition kicks off with an opening ceremony honoring the best student work in graphic, digital and fine arts from the 2018-2019 academic year. The reception will take place from 6 to 9 p.m. in the Anita S. Wooten Gallery in Building 3 on the college’s East Campus. Students, faculty, staff and the general public are invited to view the works on display while enjoying refreshments and live music. For this year’s exhibition, guest judges and program advisory board members have selected works from a wide range of art media, such as drawing, ceramics, graphic design, web design and video. Winners from each category will be chosen and announced at the awards ceremony, which is scheduled to begin at 6:30 p.m. Visiting judges and advisory board members are industry professionals representing an array of area institutions and businesses including the Mennello Art Museum, the Orange County Regional History Center, Universal Studios, University of Central Florida, Walt Disney World and more. The exhibition will remain on display through May 17, Monday through Friday, from 8:30 a.m. to 4:30 p.m. For more information, visit the Valencia College events calendar. WHEN: April 11 – May 17, 8:30 a.m. – 4:30 p.m. Opening Reception on April 11, 6 – 9 p.m.; Awards ceremony at 6:30 p.m.